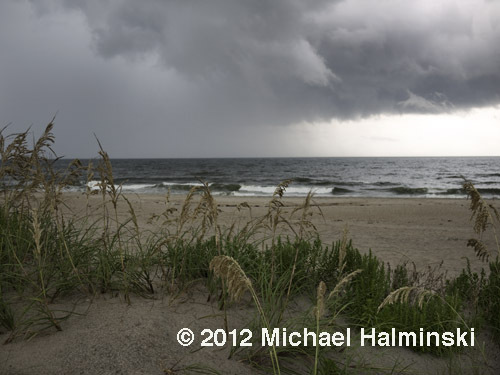 It’s been exactly a year since hurricane Irene churned through Pamlico Sound. In the aftermath, things are generally back to normal, but I have to admit I’m more apprehensive than I used to be. The subtle reminders are all around us. I don’t want to deal with it again any time soon. 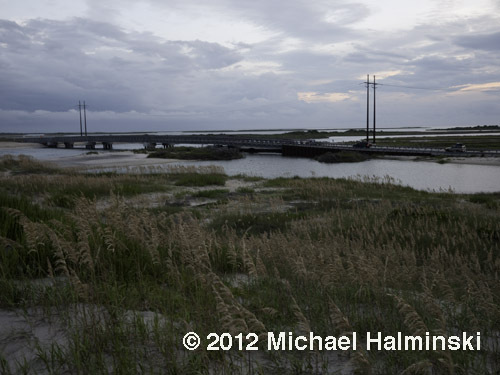 The bridge at the inlet forged by Irene, is the hallmark reminder of the storm. A first time visitor from the midwest recently asked me about living here, surrounded by so much water. How do we deal with storms? Yet he noted the stunning beauty of these barrier islands. That’s what makes it so special. 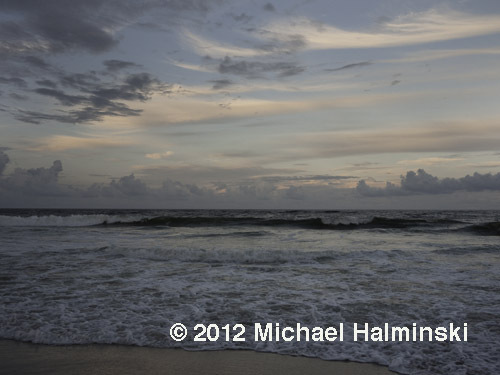 Hatteras Island exists because of the elements, and is being transformed every day. I told him that it’s a tradeoff. One has to come with the other. That’s the price we pay to live here on the ocean. I love this time of year. The high tourist season is coming to an end, and this is a time of tropical influence. Clouds and sky dominate the scenery. 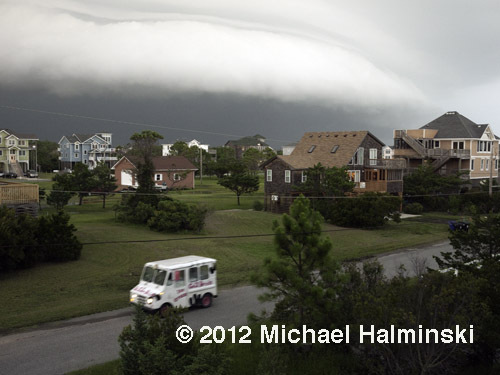 A cumulonimbus shelf cloud rolls in as the ice cream truck drives on. Torrential downpours have been common during July and August. 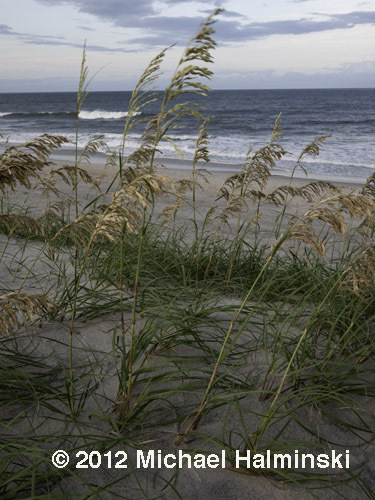 Sea Oats in full bloom are turning to gold. Wispy cirrus clouds reflect the setting sun. 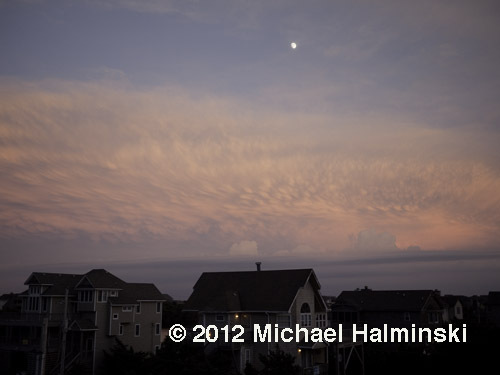 Cumulous clouds over the horizon mark the tepid Gulf Stream waters. 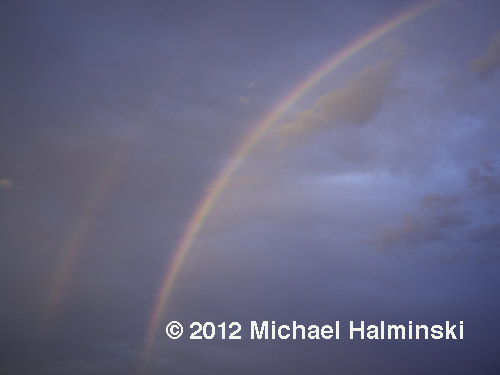 Rainbows come and go quickly. Nightfall in the town of Waves. Cumulonimbus perhaps? 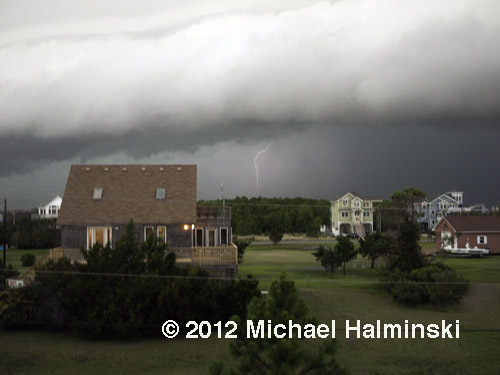 This entry was posted in beach, Outer Banks, Sea, storms, Weather on August 27, 2012 by j0jgvm89bj.